What’s your favorite letter? what’s your birth date? 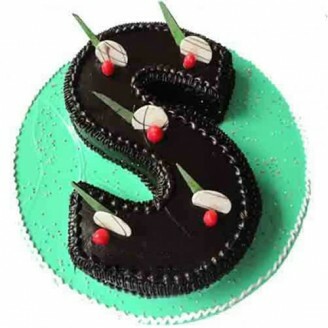 Why ordinary cake let’s order some different cake design and place an order alphabet cake on your loved ones. At Giftjaipur you will find the alphabet shape cake designs for birthday, anniversary and other occasion and day that you want to celebrate. It is a cake overloaded with chocolate and can bring a smile on anyone’s face. The yummy chocolate present in this cake can land you in another planet of paradise where everything seems to be chocolaty. •	Bring happiness in your friend's life by sending him alphabet cake. •	You can put her names first alphabet on the cake and can surprise on her birthday. •	It can be delivered within 2-3 hours.